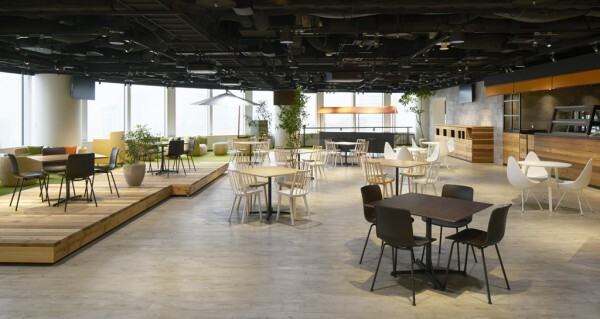 NHN PlayArt is a company that develops and distributes games for smartphones and computers and we designed their new offices, which occupy three floors of a mid-rise building in Toranomon, Tokyo. 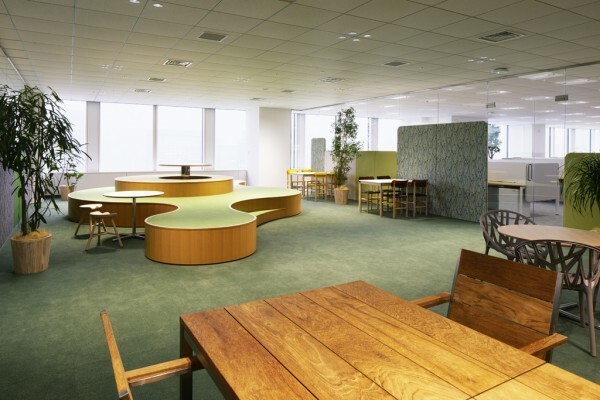 Since the keywords for the new office plan were "Park & Museum", deliverables included an office space combining open park areas to foster a sense of playfulness and a museum area to stimulate intellectual curiosity. 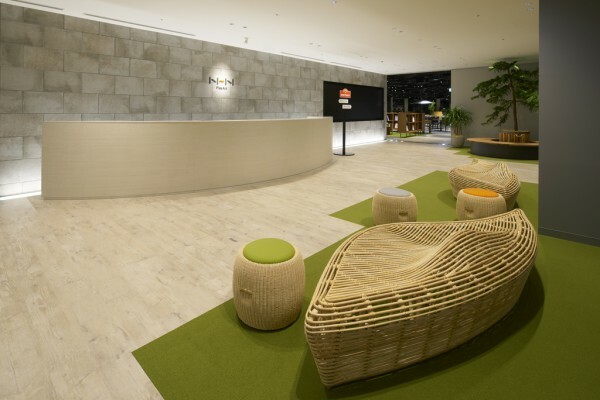 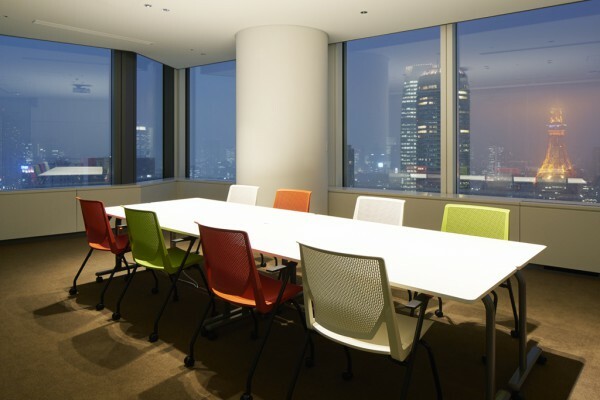 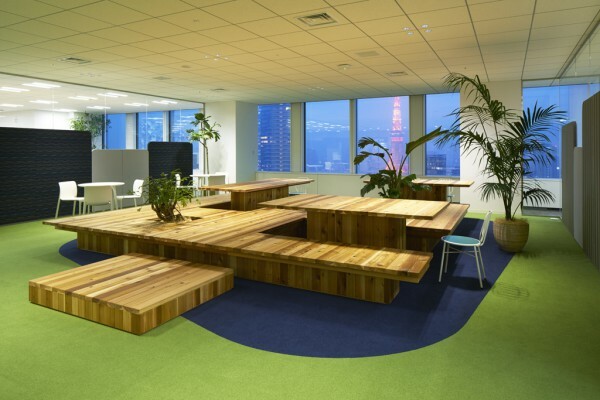 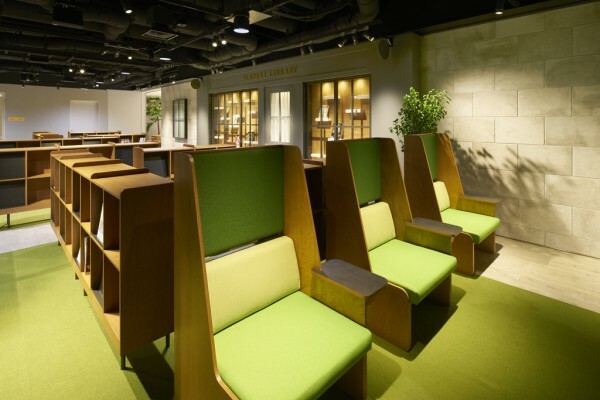 The middle floor is the guest floor consisting of a reception desk, meeting rooms for clients and a cafe for employees located on the south side of the building offering a view of Tokyo Tower, while work spaces take up the other areas. 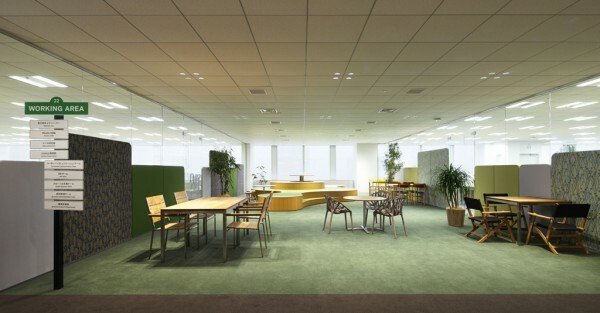 These can be divided between north, south, east and west areas. 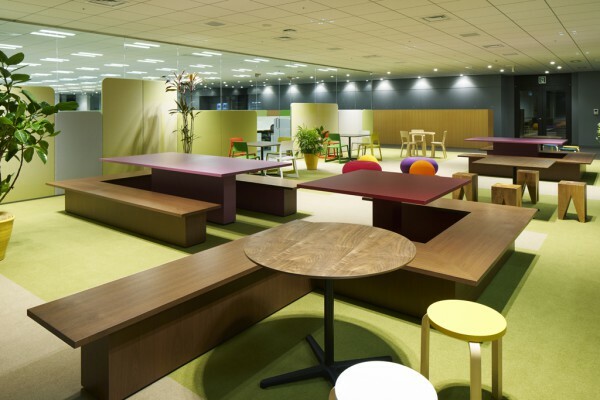 Moreover, common areas were secured at the boundary between each work space to promote communication among employees. 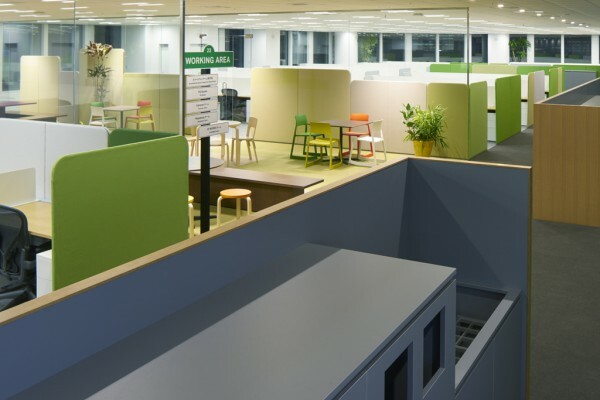 These communication spaces can easily be accessed from any desk and each features a different theme to create a contrast with the homogenizing effect of the office environment. 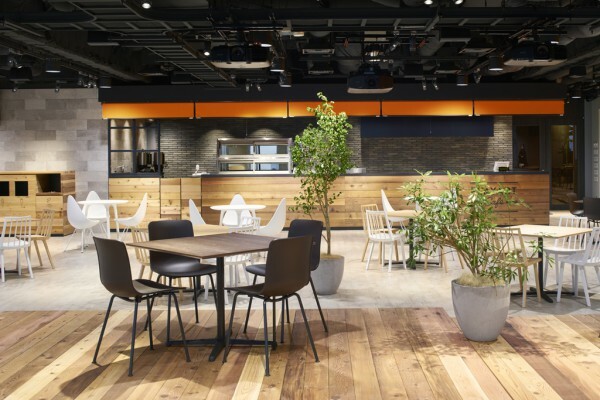 By using materials, such as fabric and carpeting, etc., representing a grassy hill, a lush garden or a waterfront deck and selecting distinctive furniture to match each theme, we created spaces that employees can use according to their mood. 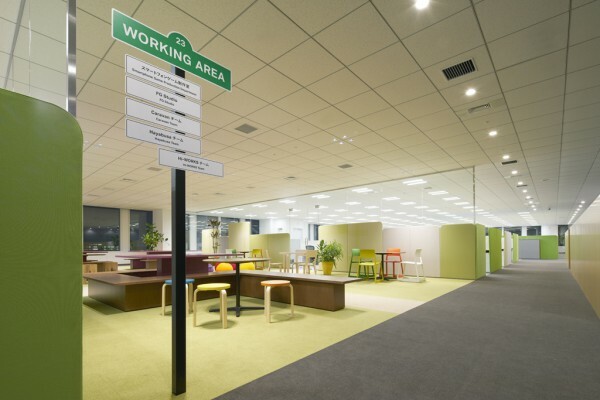 Copy machines and food pantry, etc., are gathered in a utility space near the core area, while an outer path resembling a promenade in a park travels around the office floor. 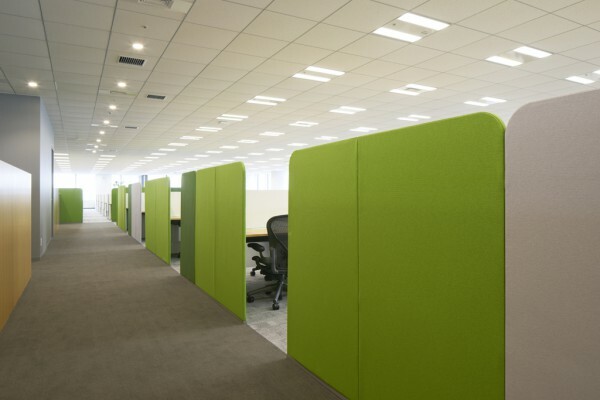 This path helps maintain a reasonable distance between working spaces while allowing their functions to communicate. 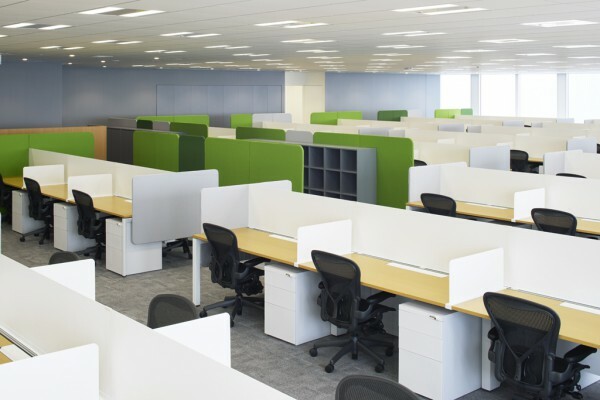 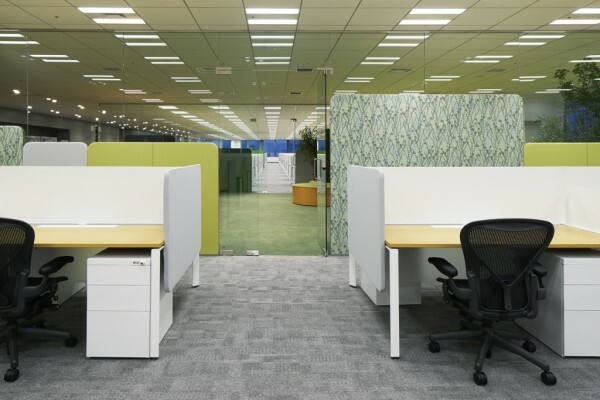 Furthermore, upholstered partitioning found in communication and work spaces provide privacy and noise reduction. 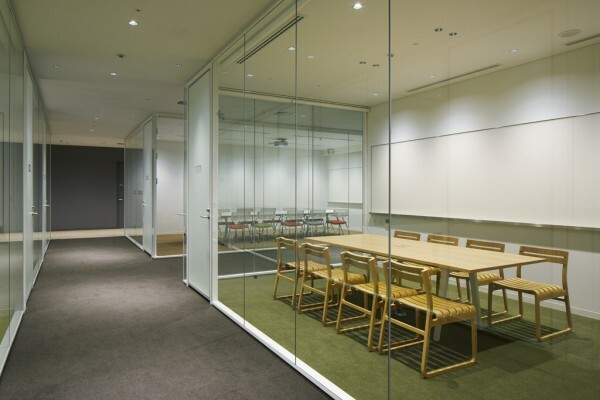 By varying their height and texture, these partitions help impart color and rhythm throughout the whole space. 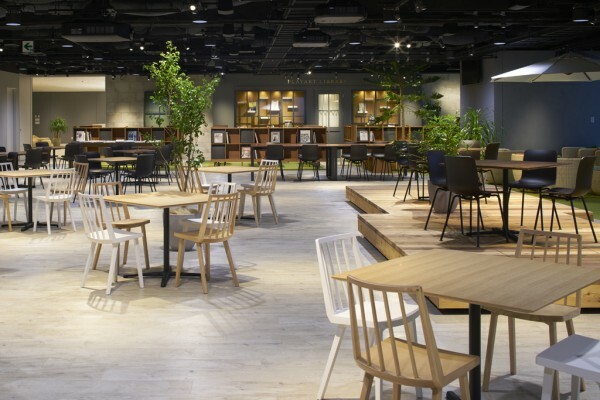 The cafe space represents a miniature version of New York's Central Park surrounded by building fronts and coffee stands. 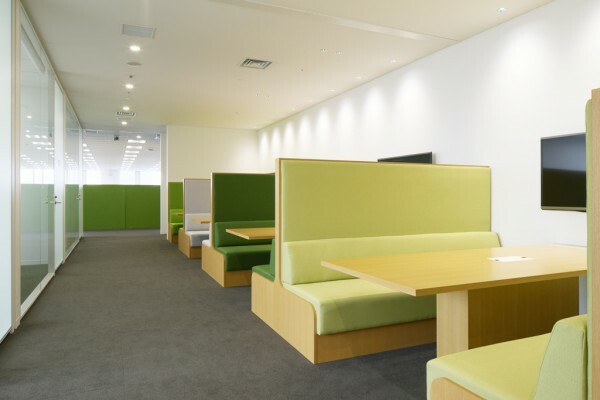 Here, the latest publications, such as magazines, etc., are available for browsing by employees at the PlayArt Library, which is reminiscent of a street scene typically found around a park. 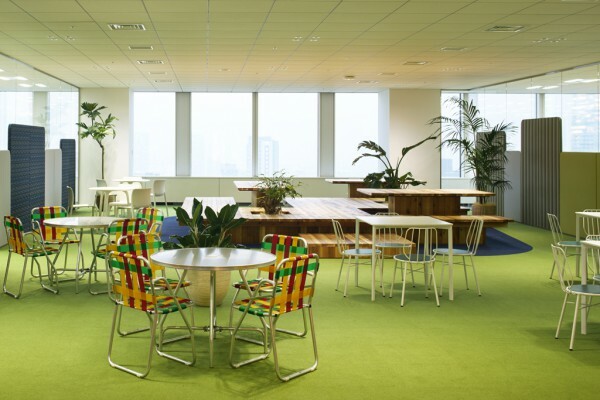 By efficiently segmenting the three floors of sprawling and even spaces, we sought to create an office that works like a park where people can gather, and where employees can not only work, but also change their mood by changing their environment.